Gone are the days when visitors to Hawaii only came to Waikiki hotels to sun and surf near Honolulu. Instead, many visitors are taking advantage of all that Oahu has to offer, including the North Shore, where friendly locals and big-wave surf welcome all those interested in a laid-back atmosphere and plenty of culture. Soon, those visitors to legendary Laie will see a familiar hotel brand, ready to accommodate those looking for upscale North Shore lodging. The Courtyard Oahu North Shore (part of the Marriott family) will celebrate its grand opening on Saturday, August 29, 2015. The 144-room beachside hotel is located adjacent to the Polynesian Cultural Center in the country town of Laie and is the second Courtyard by Marriott on Oahu. The rooms will feature Wi-Fi and give visitors a sense of familiarity and comfort. 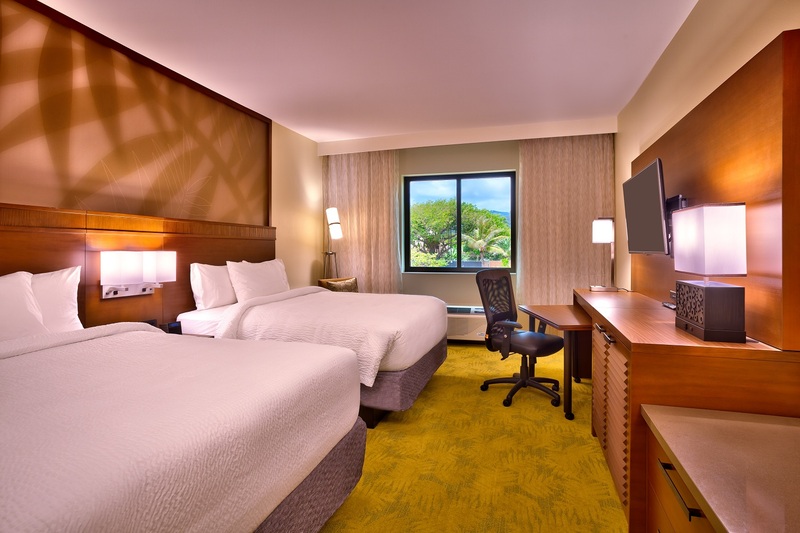 Considered a destination hotel, Courtyard Oahu North Shore features well-appointed, modern hotel rooms with free Wi-Fi access, mini-fridges and flat-screen TVs. Suites also come equipped with microwaves. The property offers an on-site restaurant, The Bistro, featuring American fare. Visitors can also enjoy an 80,000-square-foot waterfall swimming pool and spa, two meeting rooms, and a fitness center. A highlight of the hotel is its dynamic lobby with flexible seating for working and relaxing, contemporary design, and interactive GoBoard® touchscreen providing up-to-the-minute news, weather and local information. The hotel lobby features contemporary design and a welcoming atmosphere. 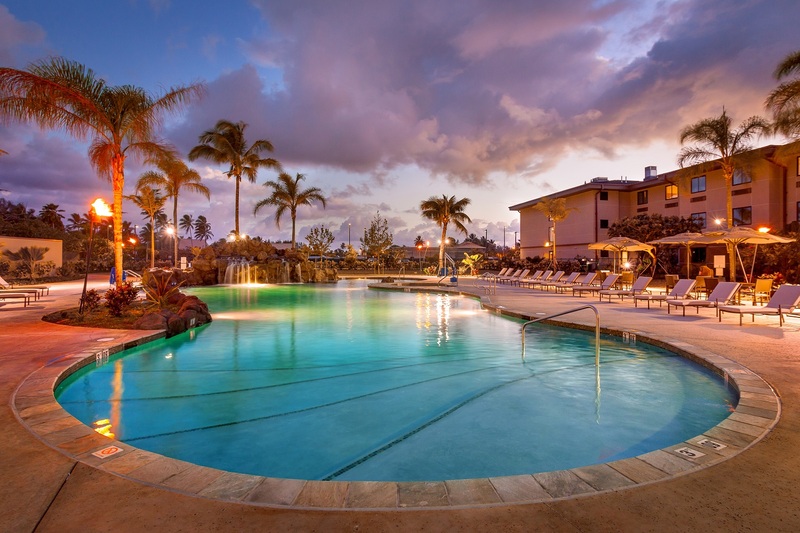 From couples to families, Courtyard Oahu North Shore offers something for everyone with its on-site amenities and convenient location to area attractions, golf, legendary beaches and surf spots, farms stands and more. Nightly rates start from $259. Parking is $10 daily. No resort fees. For more information or reservations, call (808) 293-4900 or visit www.marriott.com. The pool at the Courtyard Oahu North Shore gives visitors an option to exclusively swimming in the ocean. 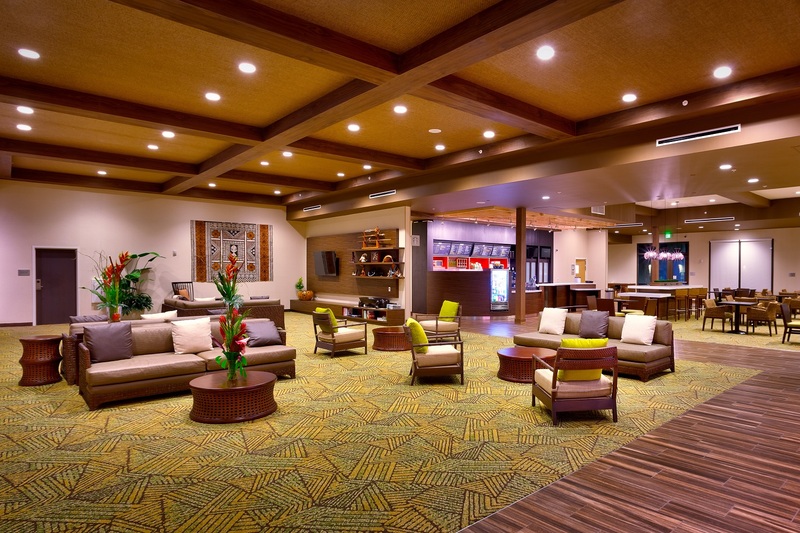 So, if you’re looking for a laid back atmosphere, but upscale North Shore lodging, the Courtyard Oahu North Shore may be the ideal place to find both—after all, just because you explore areas beyond Waikiki doesn’t mean you need to sacrifice exceptional lodging!